FREE Small Soda At Target Cafe for RedCard Holders (12/7-12/13)! 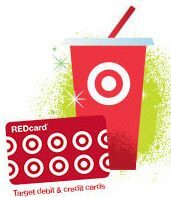 You are here: Home / FREEbies / FREE Small Soda At Target Cafe for RedCard Holders (12/7-12/13)! Woo hoo! If you have a Target RedCard, you can head over to Target this week and get a FREE small soda at the Target Cafe! Don’t have a cafe at your store? Don’t worry – you can get a FREE small hot chocolate or coffee! This is valid through 12/13. You can see all the details about Target’s thanks to RedCard holders here!